I love cooking with ground chicken. You don’t need filler, as it rolls together nicely into meatballs. 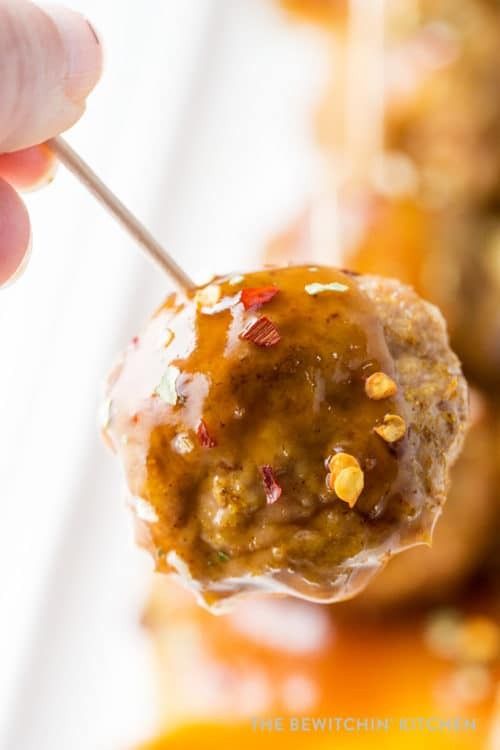 These curried rum chicken meatballs are not only easy to put together, but incredibly tasty with different flavors that will be a hit at your next party on the appetizer table. I’m a finger food kind of a person, an appie person, well… I’m just a food person (ha!). During this past year I have been sharing new and delicious chicken recipes as a Canadian Chicken Ambassador and man, has this year flown by! I’m going to end the year with a bang – with a chicken appetizer that is not only easy, but delicious. The best part? 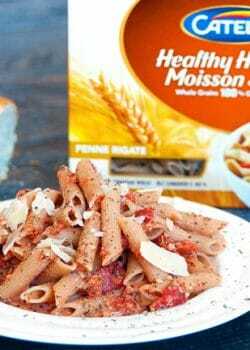 You can easily make this into a meal by adding a yummy side dish (like cauliflower rice or three pepper salad). 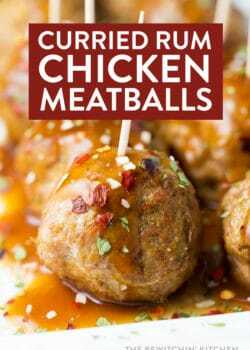 I was inspired by Chicken.ca’s Curried Rum Chicken Wings, but I wanted to make a meatball so with a few alternations I came up with these curried rum chicken meatballs. You guys are going to love them! 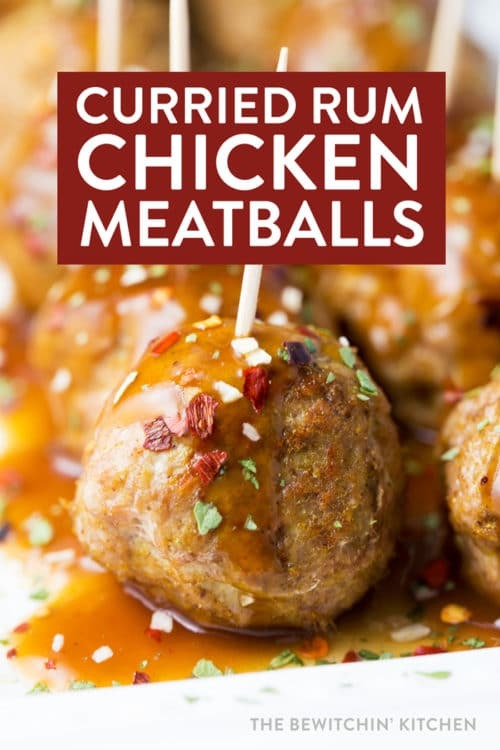 Looking for another delicious chicken meatballs recipe? Check out these Coconut Curry Chicken Meatballs. Enter to win a $500 Bed Bath and Beyond Gift Card! Open to Canada 18+, Ends December 21. 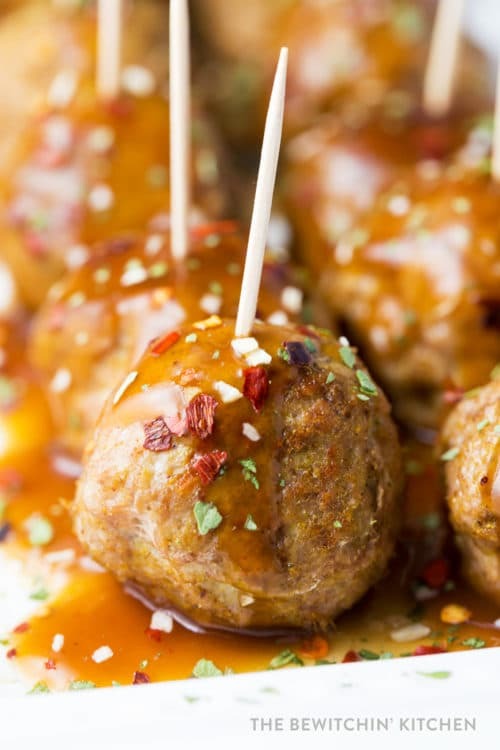 These curried rum chicken meatballs are not only easy to make but incredibly tasty! Whether it’s for an appetizer or a main dish for a twist on chicken dinner, give these chicken balls a try! Note: Originally, I made this with 2 tbsps soy sauce but my husband told me to publish it at 1. So I guess it depends on your taste, try both! A big thank you to SJ Consulting and Chicken Farmers of Canada for another great year! 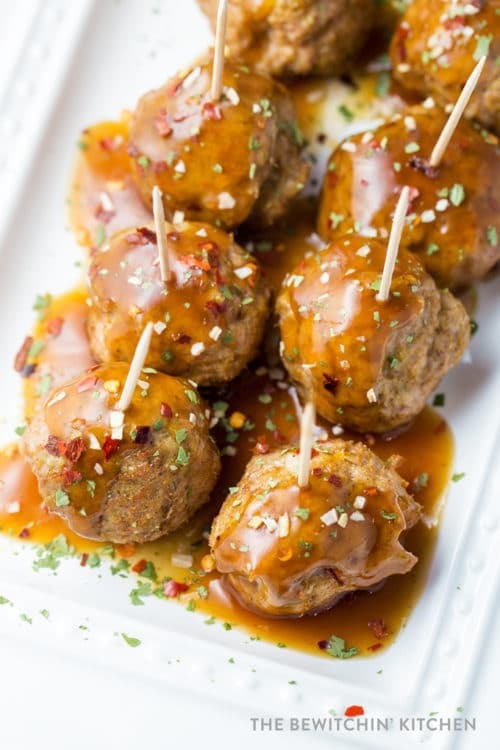 These curried rum chicken meatballs are not only easy to make but incredibly tasty! Whether it's for an appetizer or a main dish for a twist on chicken dinner, give these chicken balls a try! Cornstarch slurry: 1 tbsp cornstarch to 1 tsp water. 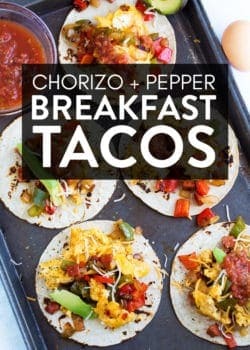 In a bowl combine the first five ingredients. Mix together. Roll into a ball roughly 1 1/2 - 2" big. Add all of the sauce ingredients into a saucepan and bright to a boil over medium heat, whisking frequently. Mix together the cornstarch slurry and pour, whisking quickly. This will thicken the sauce. 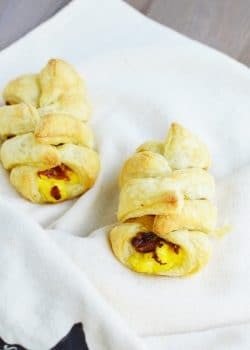 My fave chicken appy is boneless bites with a buffalo style sauce! Baked Chicken Nachos. 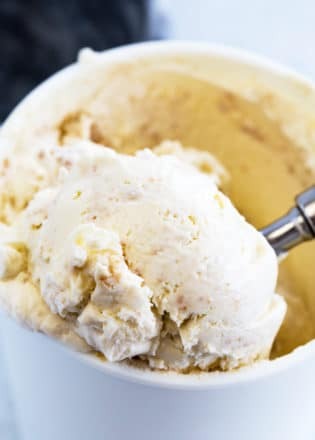 Yum ! I likemthe Awesome and Easy Chicken Wings recipe. My favourite chicken appetizer recipe is Asian Chicken Meatballs. Chicken tacos are so good! I love slow cooker recipes! 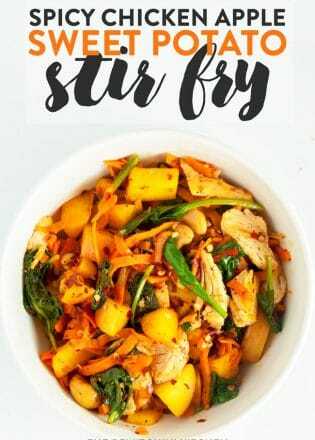 The one that stands out for me is the “Chicken & Sweet Potato Stew” ~ sounds delish and healthy!